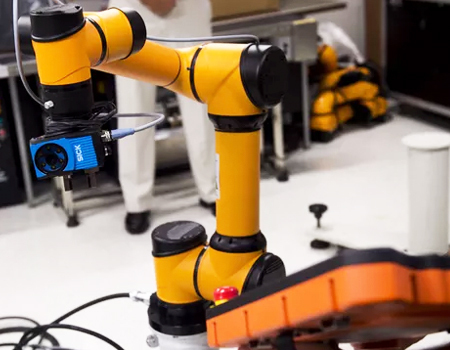 Partners is proud to have AUBO Robotics developing cutting-edge technology at our Innovation North project located in Cherokee Farm. Cherokee Farm Innovation Campus is a research and development park that gives businesses access to the most powerful tools available in materials science and high-performance computing, along with the internationally renowned researchers at the University of Tennessee and Oak Ridge National Laboratory. Parcels are available for immediate development, and build-to-suit space is available in our Innovation North building located in Cherokee Farm Innovation Campus at the University of Tennessee. Please visit www.cherokeefarm.org for more information. Peter Farkas demonstrates how an AUBO Robotics robot can be programmed by hand. An example of the robot made by AUBO Robotics. 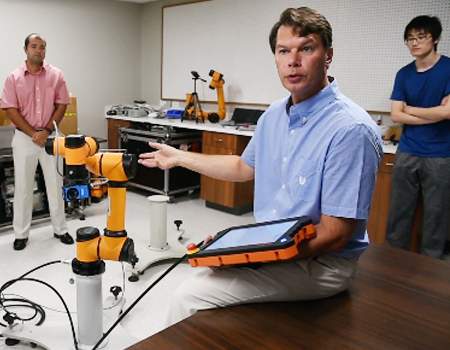 AUBO Robotics recently moved to Cherokee Farm Innovation Campus. 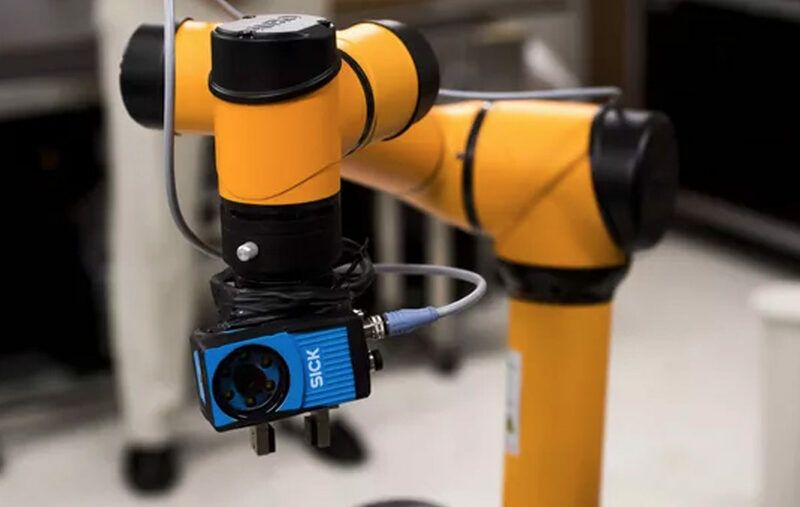 Click the button below to learn more about the cutting-edge technology from AUBO Robotics at our Innovation North facility located in Cherokee Farm Innovation Campus at the University of Tennessee.